The Obama White House told reporters they will proceed with new EPA rules that will shut down 8% of all US power generation. The latest move by the EPA will affect 26 states. The White House said they will stand behind their new job-killing air rules that will totally devastate the Texas economy and put thousands of lives at risk. 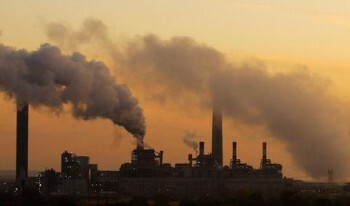 The White House cited their own bogus study insisting that closing the power plants will save 34,000 lives each year. (What rubbish!) They are using this lie to push their devastating policies on the people of Texas. They would rather see thousands of Texans die in the sweltering summer heat when their power goes out. Texas Gov. Rick Perry on Monday asked President Barack Obama to use his executive authority to prevent or delay implementation of stricter pollution standards, saying they will have an “immediate and devastating” effect on the state. The standards have stirred up Texas’ largest energy companies, which say they don’t have adequate time to meet the deadlines without shutting down plants and jeopardizing the reliability of Texas’ electric grid. Implementation of the rules starts Jan. 1. Perry released the letter as he tries to shore up support among conservatives in his bid for the Republican presidential nomination. The White House said the new standards will save lives. Obama’s EPA already killed 500 jobs in Texas. The largest power plant operator announced it would cut the jobs due to Obama’s latest EPA regulations.